Say goodbye to the ostentatious patterns, dull colors, and abrasive textures of the past. Simplicity is in. In our modern world, we see this all around us: architecture, clothing, and home decor. As is the case with most trends, there are always products that lag behind the latest style. Wallets have been a neglected accessory for far too long. 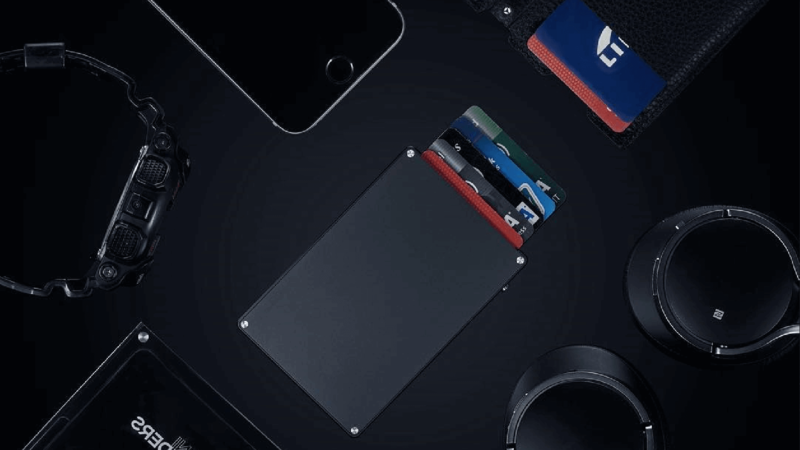 The Cascade Wallet’s spring loaded design gives you access to up to seven of your preferred credit, debit, and gift cards with the single press of a button. They pop up in a “cascade” beautiful to behold. Modern in no way means bland. The Cascade Wallet is highly personalizable and available in some of the most vibrant colors. You can even go outside the box and have your own design engraved onto the Cascade Wallet’s aluminum body. If the metal look doesn’t appeal to you or seems too harsh, the makers of the Cascade Wallet offer a soft cover that fits similar to a book cover with the Cascade Wallet acting as the “pages.” Maybe you totally dig the metal look but need space for more than seven cards; the soft cover is perfect with its additional card pockets. You’re probably thinking: Where am I going to keep my cash? I’m glad you asked. The Cascade Wallet has a silicone-grip money clip to store your money without it flying away. Cascade is also RFID protected, meaning that a crook with a scanner can’t steal your credit card information.